Octopus. 14 x 12 inches, hand-built ceramic sculpture, earthenware clay, stone, glaze and stain. 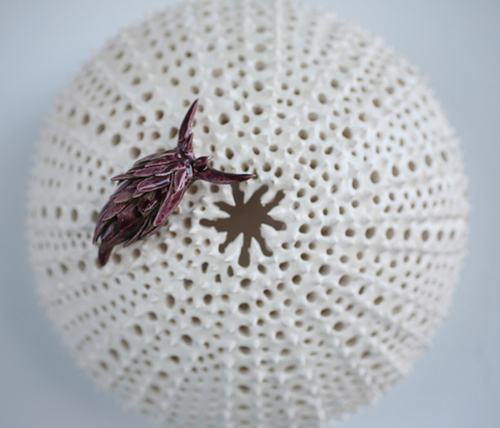 Coral and Nudibranch, ceramic sculpture. 7 x 8 inches, earthenware clay and glaze. Tryptich, Hand-built ceramic. 42 x 12 inches, porcelain, earthenware, wire mesh, glaze and stain, marble. Orchid. 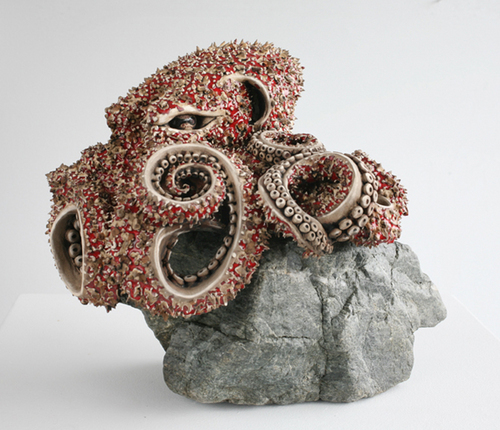 Ceramic sculpture. 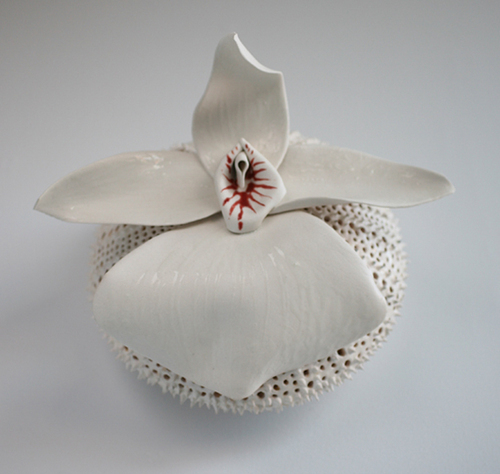 Hand-built, 10 inches, earthenware clay and porcelain with glaze. 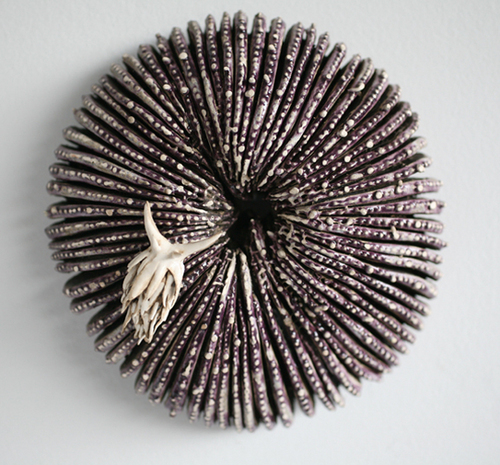 Urchin and Nudibranch, ceramic sculpture. 7 inches round, earthenware clay and glaze.